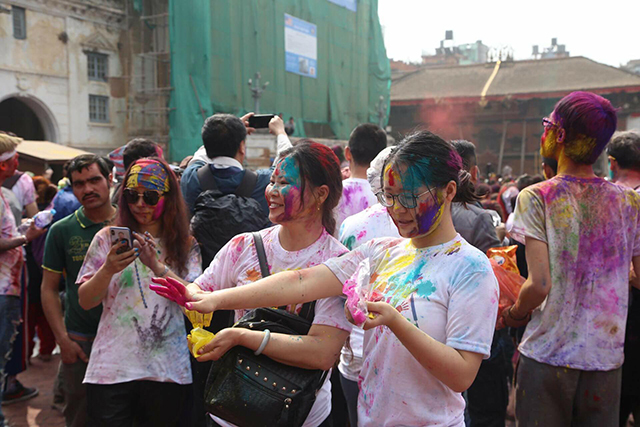 Denizens of Kathmandu celebrate Holi, the“festival of colors” to mark the beginning of spring at Basantapur on Thursday. Gus Van Sant's Milk proves that the past is the present, and the future too. In an interview with Himal Khabarpatrika and Nepali Times on 27 December, Prime Minister Pushpa Kamal Dahal says he is trying hard to work towards a political consensus. He calls the violent attacks and threats on the media "an unacceptable crime" and promises that the guilty will be prosecuted.